03/17/12 – STIMULATE: Xris SMack! Radioactive BDay Bash/ St. Patricks Day \\\”Green Theme\\\” w/FREEZEPOP live! STIMULATE: Xris SMack! 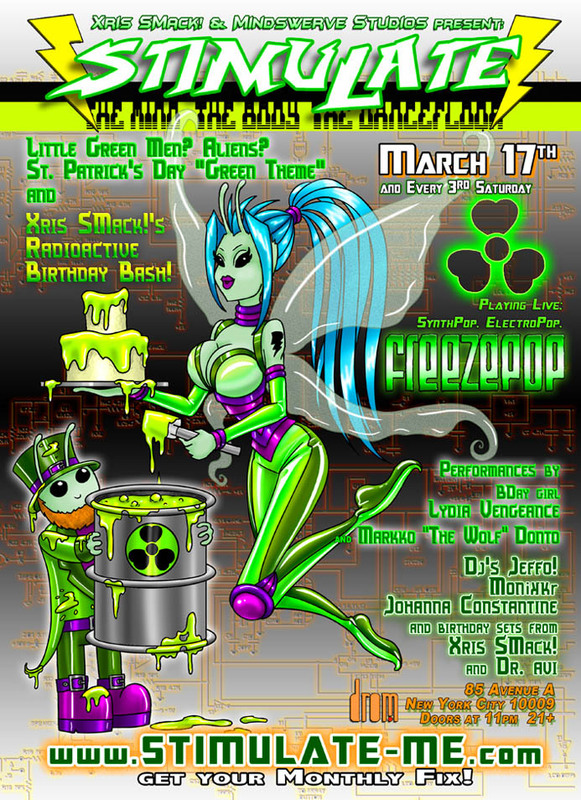 Radioactive BDay Bash/ St. Patricks Day "Green Theme" w/FREEZEPOP live!